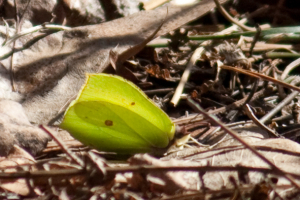 Observation - Brimstone butterfly - UK and Ireland. Description: Butterfly seen in local woodland, very difficult to see properly as didn't settle for long. Butterfly seen in local woodland, very difficult to see properly as didn't settle for long.